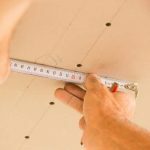 DIY or Do-It-Yourself is the new trend in the market. Be it a small art and craft design or renovating the entire house, we all love to do it on our own and share the accomplishment with the world. And rotary laser level is an indispensable tool for DIY lovers. They ensure that accuracy is not just a thing for the professionals. Anyone with the spirit to do the task is given the ability to do it well. Be it hanging cabinets properly, placing doors and windows without a tilt, constructing walls and for other such tasks which need perfect level alignments, rotary laser level takes out the complexities of these tasks and makes it easy for you to complete the job, no need to do it the old way by using a hammer, chalk and scale! 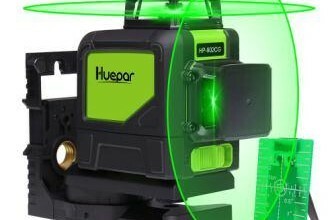 But choosing the right brand plays a big role on the accuracy and satisfaction with which you get the job done by using the top rated laser level available in the market. 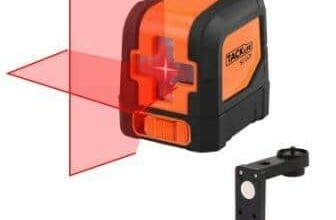 That is why this rotary laser level review has been written, to help you choose the best brand and product built for your specific needs. It is electronic: We all know what that means! It is self-leveling: It can, to some extent, adjust its levels according to your needs so you don’t have to worry about every minute detail. As long as you get it within 5 to 10 degrees of level, the laser will self-level within a few seconds. It is horizontal and vertical rotary laser system: This means that it is versatile. 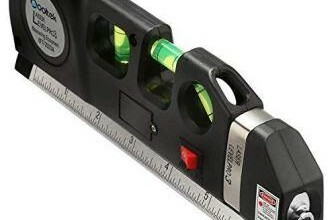 Traditional rotary laser levels could only perform one such leveling detail, either horizontal or vertical. This model not only performs both tasks but it performs it with high accuracy. These are just the basic features. This model is one of the best rotary laser levels in the market and its wide variety of features is proof to this statement. It projects a red shade of light in an angle of 360 degrees. So you don’t need to shift it every time you want to change the angle to a large value. This allows for a free movement in all directions around its axis. Also, depending on the use, you can even adjust the speed. Its usefulness allows for two rotational speeds- 500 RPM and 200 RPM (Rounds per Minute). The two modes are used for different purposes. 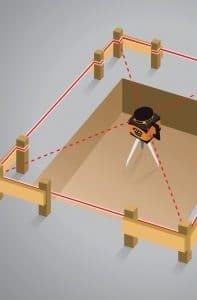 Slower rotational speeds increase beam visibility so that it works well for large distances, be it indoor or outdoor tasks while the higher speed is ideal for outdoor use with a detector. Not only that, this rotary laser level includes a red laser beam detector as mentioned above. This beam detector is laced with a grade rod mounting bracket and a grade rod. With this detector the range of this rotary laser level can increase from 200 feet indoors to 1500 feet. Quite a leap there! 4V battery adapter which can be plugged to almost any socket used in homes and buildings. NiMH rechargeable battery pack which is pre charged. This means that you can just get it out of the packaging and start using it for 2-3 days straight without worrying about the battery dying out. Alkaline battery section: Batteries are not included. Detector with 9V battery and battery adapter: So if you forget to buy an extra pack for your detector, you can still use it thanks to the heavy duty batteries which come pre-installed. Tinted laser beam glasses which increase the overall visibility of the red laser beam. Target: It is an electronic target which ensures that height measurement is accurately performed even in bright light. 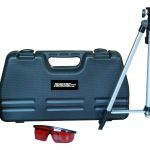 A carrying case which has all the necessary pockets to accommodate these components of the rotary laser level and protect it from exterior damage. Instruction manual with basic details on how to set up and use the model. Aluminum tripod and a 13 ft. aluminum grade rod so that it can be used in different modes with ease. 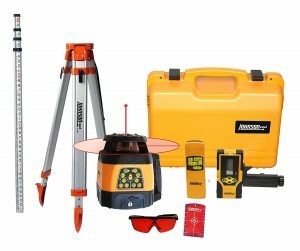 All these features are present in this single model which is why Johnson Level & tools is regarded as the best laser level manufacturer out there. And this model stands out in terms of both cost and features when compared to similar models of other companies.